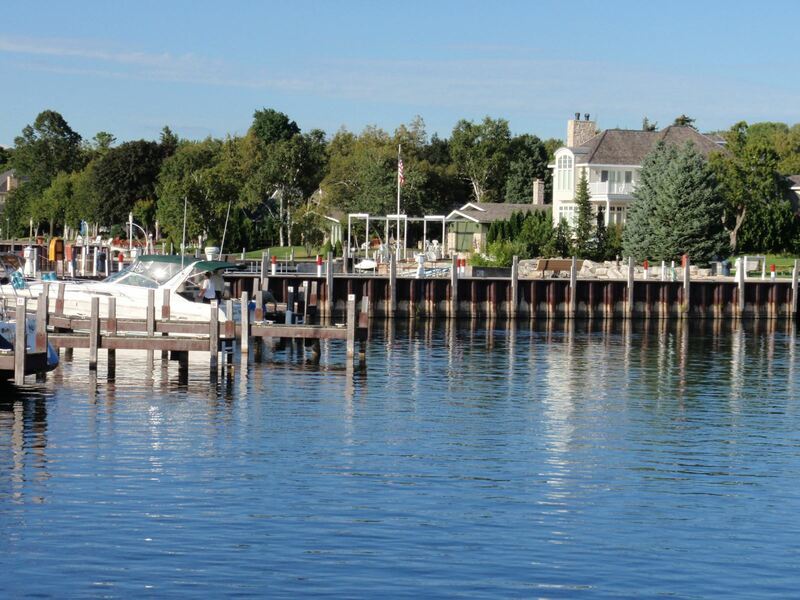 Sturgeon Bay, Door County's first community, was settled by Increase Claflin in 1835. Nine years later, following a frightening confrontation between his son-in-law and local Indians, Claflin moved his family north to Fish Creek. Although Claflin was the first settler, Asa Thorp is regarded as the man who founded the village. By 1853 Thorp owned much of the land in the Fish Creek area and had begun building a pier from which he could sell cord wood to Lake Michigan steamers. The beauty that held Claflin and Thorp in thrall claims today's visitors to Fish Creek as well. The entrance to Peninsula State Park is located in the village. Within its 3,700 acres is located Claflin Point, the site of the settler's cabin. The breathtaking view of the bay from Weborg Point makes it easy to see why he chose to live here. For those who prefer getting away from crowds, a bike ride through the park is just the ticket for relaxation. The park, with its sand beaches and nature trails, also is popular with campers. There are well-kept private campgrounds located near the village too. Over the years, Fish Creek has become the heart of the county's artistic life. Here you'll find Peninsula Players, the country's oldest professional summer theater; The Peninsula Music Festival; American Folklore Theatre; Peninsula Art School; Peninsula Arts Theater, and the Door Community Auditorium, which plays host to dozens of well-known artists and shows each year. A wide variety of shops, galleries and restaurants draws visitors back year after year. After a fine dinner, take a stroll to the marina and check out the pleasure boats moored there, or sit on the city beach and watch as the sun paints the sky red and gold. Fish Creek will call you back, season to season, year after year.